A wonder pill to fight belly fat hit the UK yesterday. The drug — made from a vile-tasting fruit — is also a breakthrough in the war on cholesterol. It contains concentrated juice from the intensely bitter bergamot — which is used in cooking in Calabria, southern Italy. Heart experts intrigued by locals there rarely suffering coronary disease claim to have traced it to the fruit. These work together to open up arteries and increase blood flow — helping the body to burn fat more efficiently. Tiny amounts of the juice cut blood sugar levels by a fifth in tests, boosting people’s metabolisms so they carried less belly fat. Meanwhile, the juice was found to lower artery-clogging cholesterol by almost a THIRD. And the fruit raised levels of “good” cholesterol. The new pills, costing £42 a month and called BergaMet, are taken twice a day before a meal. They have NO side-effects — unlike cholesterol-fighting statins, which can cause muscle weakness and memory loss. That means the pills could be an alternative. 'May'. But the 'healthy diet and exercise' are probably more important to weight management. ^ These statements have not been evaluated by the FDA. This product is not intended to diagnose, treat, cure or prevent any disease. * Levels already within normal limits. The statement about 'weight management programs' is also marked with a ^ on the US site. In the absence of any evidence from the advertiser, the Panel was satisfied that the advertisement contained many representations that were likely to arouse unwarranted and unrealistic expectations in relation to the advertised product. These included the representations that the advertised product has benefits in relation to lowering cholesterol levels...lowering bad cholesterol levels, providing cholesterol and metabolic support, lowering the risk of metabolic syndrome, aiding in weight loss or weight management, or has any benefits in relation to...excessive abdominal fat. 'Unwarranted and unrealistic expectations' may also result from a newspaper report lauding it as a 'wonder pill'. On 11 September, a study was published on 'Misrepresentation of Randomized Controlled Trials in Press Releases and News Coverage'. evaluate whether findings of randomized controlled trials (RCTs) based on press releases and media coverage are misinterpreted. 41% of abstracts contained spin. 46% of press releases contained spin. 51% of news items contained spin. Second, at the press release level. Press officers for universities, research institutes or medical journals are under pressure to generate media coverage. And a lively, positive “breakthrough” will get more coverage than results that are dull and inconclusive. 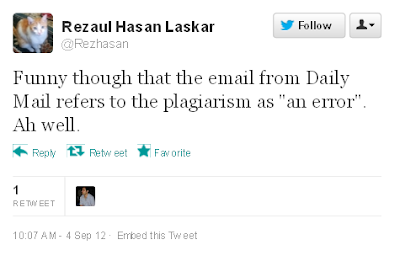 Third, at the journalism level. Many journalists claim (with some justification) that they are over-worked and under-resourced so they simply read the press release (and some might read the abstract) before writing the story. The full study on which the press release is based is rarely read. The result: articles about cake curing dementia, Page 3 making you brainy, and the cancer risk of turning the light on when you go to the toilet at night. NHS Choices has a 'How to read health news' guide, which suggests some key things to look for in such reporting. For example - was the research done on humans or mice? How many people were involved? Did the study assess what is mentioned in the headline? The version of the article that appeared on MailOnline was a word-for-word copy of the original - but with a 'Mail Today Reporter' byline. A similar 'error' occurred a few days ago. four-year-old who went missing in a jungle and returned 38 years later. We are surprised to find that UK’s Daily Mail has carried a similar story, plagiarising portions of OPEN’s feature. Here, we present only the portions of the Daily Mail story that are direct lifts, ignoring those parts that have been more efficiently rephrased. She keeps her new possessions by a window. A bottle of metallic green nail polish, a plastic comb, tubes of moisturisers and fairness cream, and a maroon lipstick—all gifted by women in the village. When she wakes up every morning, she scrubs her face with cream, paints her nails—regardless of any grime underneath—and combs her long hair, which she has taken to tying with a hair band. She keeps her gifts from her neighbours by a window - a bottle of metallic green nail polish, a plastic comb, tubes of moisturiser and lipstick. When she wakes up every morning she scrubs her face with cream, paints her nails and combs her long hair, which she has taken to tying with a hair band. Surprisingly, for someone believed to have lived in a forest away from human habitation and bereft of any social skills, Chhaidy is not shy of human interaction, although her expressions of fondness are childlike. Surprisingly, for someone believed to have lived in a forest away from human habitation for 40 years, Chhaidy is not shy of human interaction, although she is very childlike. Chhaidy, on the other hand, has received no medical or psychological attention. She spends her days moving from home to home, playing with anyone, young or old, who seems interested. Since then she has received no medical or psychological attention. And she spends her days moving from neighbour to neighbour, playing with anyone, young or old. And so on. There is no mention of OPEN in the Mail's article. MailOnline, overseen by Martin Clarke, was named newspaper website of the year earlier this year. Two heads are always better than one, the saying goes, although one feathered fowl may disagree. A pelican that appears to have two heads was captured in flight over the Danube River by a lucky Ukrainian photographer earlier this month. This is not the first time this phenomenon has been seen among the winged representatives of the animal kingdom. 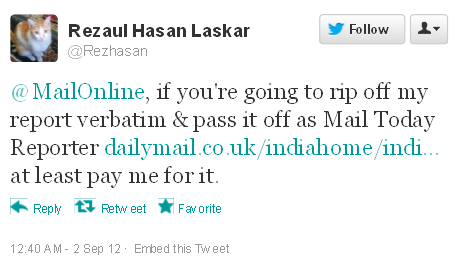 The majority of the comments on the story are, unsurprisingly, critical of the Mail ("Can I have a job with DM please? 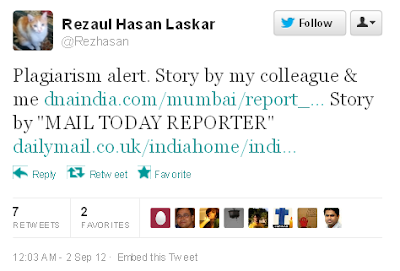 Clearly, it's quite easy and your reporters can write any old unverified rubbish," says logical15). Labels: mail, misleading headlines, snejana farberov, what's wrong with this picture? The picturesque Yorkshire town of Masham has been pushed off the map by bungling bureaucrats. After the nearby A1 was upgraded to a six-lane motorway, the nearest junction to Masham was closed and passing trade dried up. Local councillors and business owners asked the Highways Agency to relocate direction signs to another junction two miles south, but they were told it would be too expensive. When they offered to pay for the signs themselves, they were quoted a staggering £190,000. After a bit of haggling, the agency agreed to reduce the price to £30,000 — way beyond the means of the town, which has suffered hundreds of thousands of pounds in lost business. Heaven only knows where they came up with £190,000 for two road signs. Even 30 grand is an absurd amount of money. Out of interest, I checked the website of Archer Safety Signs, which supplies everything from No Entry and Keep Left notices to public footpath signs. How much? Have a guess. Not even close. Prices range from £38.75 for a national speed limit sign up to £53.60 for something more elaborate. Archer will also do you a nice line in posts and fittings, starting at just over £19. Chuck in a bag of cement and a couple of blokes with shovels, and it’s job done for under 500 quid, all in. So how did the Highways Agency come up with a quote of £190,000? Your guess is as good as mine. Still, it’s not their money. If you’ve ever wondered why public works projects always end up costing ten times the original estimate, look no further. ...an initial assessment by the Highways Agency costed the two signs at £190,000. This was eventually reduced to £36,000. Last week’s news story about Masham, Yorks, ‘The town that was wiped off the map’, said the Highways Agency had costed two road signs on the A1(M) at £190,000. In fact this was for nine signs on the motorway and roads to Masham. The Highways Agency’s position is that the initial estimate of approximately £190,000 was based on providing a full complement of nine signs on both carriageways and at junctions. This was regarded as too expensive and so the Highways Agency then consulted extensively with the community to develop a more-modest proposal, with a revised estimate for two signs on the northbound carriageway. The cost estimate included design, road safety auditing of the scheme, manufacturing and installing the signs and posts, site supervision and temporary traffic management during the work. 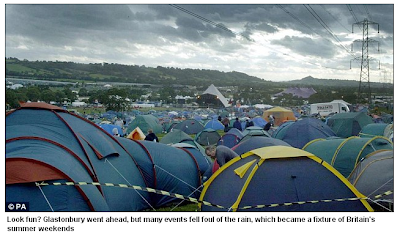 'Glastonbury went ahead, but many events fell foul of the rain'. Speaking to The Mail on Sunday, festival organiser Michael Eavis confirmed: ‘We have decided to cancel in 2012'. a. 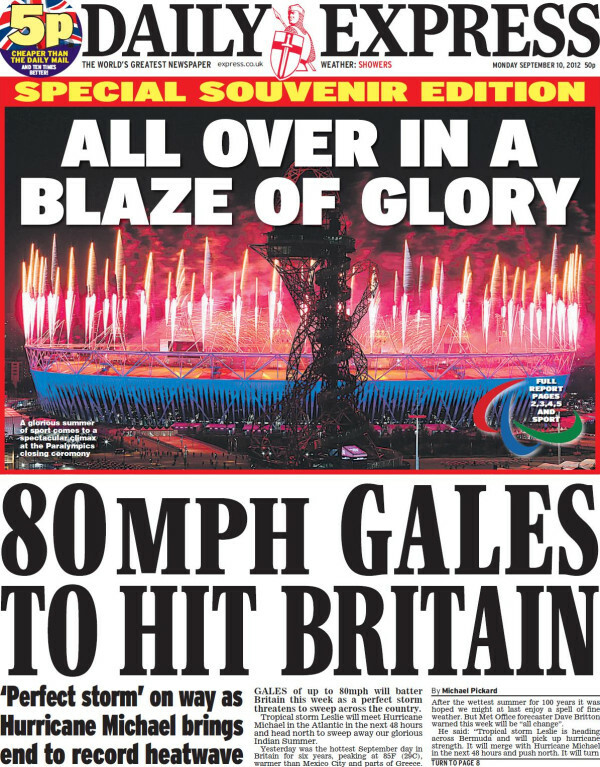 The TV ad featured a voice-over which stated, "Free with Saturdays [sic] Daily Mail, the very best of the Jubilee on one spectacular DVD. Relive the magic of four historic days, captured on film with the majesty they deserve. Together with a glorious souvenir booklet for you to treasure. Free Jubilee DVD offered only with Saturdays [sic] Mail." On-screen text stated "Concert footage not included. Collect tokens from Mail and Mail On Sunday. Postage payable allow 56 days for delivery". b. 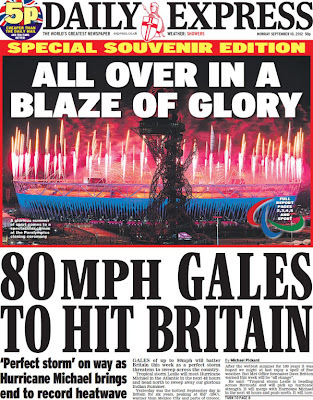 The press ad stated "FREE DVD Best of the Jubilee celebrations WITH SATURDAY'S Daily Mail". because the on-screen text provided additional information about where to collect the tokens and postage details it added clarity to, rather than contradicting, the voice-over. that that was not a sufficiently clear distinction, particularly when the Saturday edition of the newspaper was referred to in isolation. We acknowledged the on-screen text provided further details of how the offer worked, but we considered that the qualifying text contradicted the claims in the voice-over and we concluded that the ad was misleading. accepted one of their press ads had not stated that the offer required consumers to collect tokens, but they did not feel that alone was sufficient to mislead consumers, given the other ads which had subsequently appeared, all of which had stated the relevant condition. In particular, they pointed out that the front page of Saturday's edition of the Mail stated the condition. We considered consumers could have seen the relevant press ad in isolation and decided to purchase Saturday's Daily Mail as a result, without being aware that they would be required to collect tokens in order to obtain the DVD. We therefore concluded the ad was misleading. 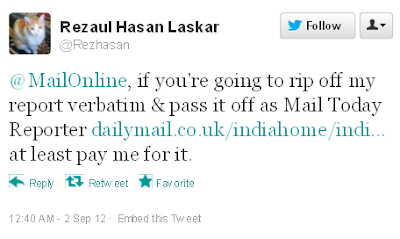 The Mail has been told not to do it again. 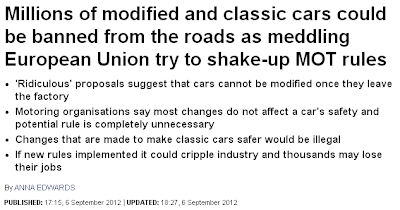 At the end of last week, several newspapers claimed the EU wanted to 'ban' classic cars. The Commission is writing separately to all the newspapers concerned, none of which checked the facts with us before publication. Britain is beginning to enjoy the longest spell of hot weather so far this year. A glorious last-minute tropical burst of summer could last late into October, forecasters said last night. Gales of up to 80mph will batter Britain this week as a perfect storm threatens to sweep across the country. On 19 February 2010, Petronella Wyatt wrote about 'rogue bicycles' in the Mail after her mum was hit by a cyclist in London. The cyclist 'didn't bother to stop' and Petronella's mum was left with a broken right arm. When I was mugged two years ago in Kensington, West London, it was by a youth on a bike who rode on to the pavement, snatched my bag and disappeared at high speed. No one could stop him, even after I yelled that the bag was a fake. If that was 'two years ago', that was 2008. On 8 September 2012, a Petronella Wyatt article about 'lycra-louts' and a 'thuggish minority of cyclists' was published on MailOnline. It revealed that on 16 August, Wyatt's mum was hit by a cyclist in London. The cyclist 'failed to stop' and Petronella's mum was left with a broken right arm. Wyatt reveals that her mum was then knocked down again three days later but, strangely, she does not mention the 2010 incident. At all. In 2012, I had my handbag stolen by a gang of youths on bikes. Are these two women just exceptionally unlucky with cyclists? Three accidents, two arm breaks and two muggings within a few years is very unfortunate. Does Wyatt really have two friends who make gurgling noises when told an elderly woman has been knocked down by a bike, before they look shocked and say: 'How awful!'? Questions about these articles have also been raised by road.cc and bikebiz. The complaint was resolved when the newspaper accepted that it had been incorrect to state that benefits could not be claimed without an address; it issued a clarification to reflect this. It also accepted that its figure of 25% of homeless people being former servicemen had come from a report that was published on the mid-1990s; it issued a clarification which indicated that the British Legion now put the figure at 6%. The newspaper also amended its article to indicate that although Somalis and Poles are accommodated in some shelters, they are not in a majority. It also accepted that accommodation in hostels was not free and that a homeless person must be in receipt of benefits, which have been linked to National Insurance payments in the past. A seven-year-old girl who went missing after she boarded a bus on her own almost sparking a frantic police search has been found trying to get another bus back home. 'Almost'? So the 'huge police hunt' was, in fact, 'almost' a hunt. Merseyside Police confirmed officers received a call from Mrs McGeehan at 6pm reporting her daughter missing and then got a call from the [bus company] security staff at 6.05pm saying they had found her. A spokesman said: 'Officers were about to deploy resources and look for the girl when the call came in from the bus company employee. 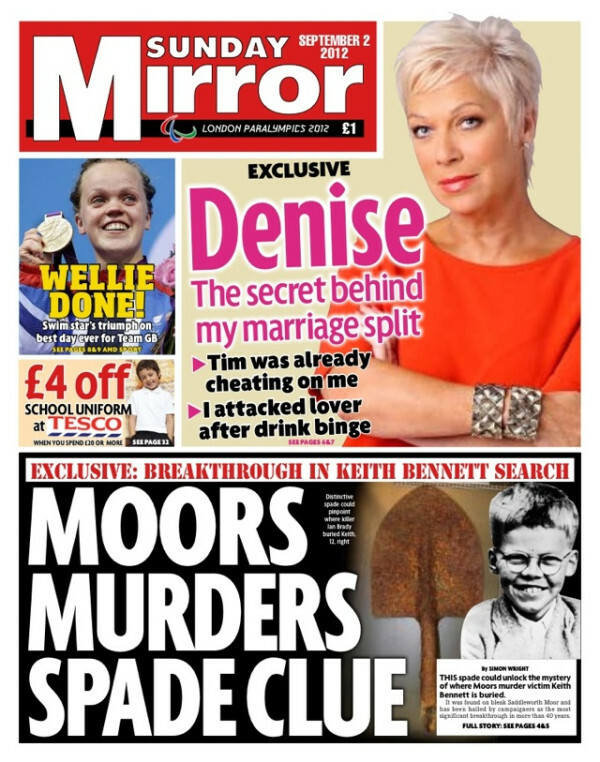 This spade could unlock the mystery of where Moors murder victim Keith Bennett is buried. So in what way is this a 'breakthrough'? 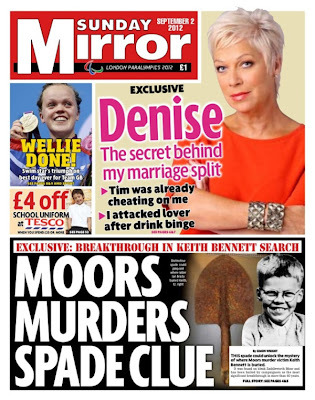 The Sunday Mirror is not entirely transparent about who discovered the spade. It says it was found by 'justice campaigners' and 'campaigners searching for the body of Moors murder victim Keith Bennett'. Steve Kershaw, senior lecturer in forensic analytical science at Manchester Metropolitan University...said he has been unable to trace its history. He said: 'It is very, very corroded. The metal in it appears to be a reasonable steel that pre-dates the start of recycling. 'There was some vegetation attached to it and was found in an area of peat. 'The handle had been broken off, but even if we had lots more time, and even if we had established that it was a spade from the 60s or pre-dated the 60s, we would not have necessarily established if it was anything to do with Ian Brady. 'The only way we would have been able to tell is if it had DNA on it and that is harder to tell with the handle gone, with it being so corroded. He said the spade has now been returned to its finders. 'This is complete nonsense as is the Worsley Paranormal Group’s theories and activities. 'They are to be found all over the internet chasing anybody who they think will listen to them. They also post videos claiming to have picked up Keith on a "ghost box" machine, all of which I find totally disgusting. 'They know my thoughts on their "findings" and when they realised, finally, that I could not take them seriously, they got very angry to the point of being abusive. 'It seems now they, just like the other "oddballs" in the news lately, have gone to a newspaper. They have seen their moment to jump on the bandwagon with all the recent publicity about the case. 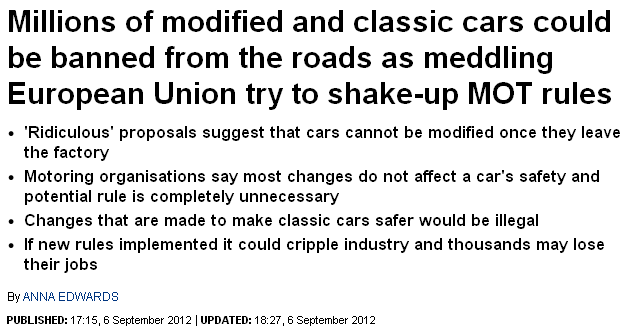 On 23 August, the Mirror and the Mail wrote about tripe. Now in an attempt to persuade a younger crowd to tuck in, sellers are turning to Facebook and YouTube to convince youngsters it's a tasty dish worth trying. The Lancashire-based Tripe Marketing Board is pushing for a revival of the 'delicacy' which was popular with impoverished Victorians, but now attracts widespread revulsion. Sir Norman Wrassle, the Tripe Marketing Board chairman, said tripe suffers from a poor reputation but the industry is fighting back. 'We have recently invested heavily in our communications strategy, using the social media like Facebook and Youtube to get our message across,' he said. There's a poll where you can vote on whether you 'hate' or 'loathe' tripe. Hardly a good way to market tripe. Then there's that Chairman, Sir Norman Wrassle. The photo used on the Tripe Marketing Board website looks like an old photo of an old man. That's because it's a photo of Bror Lagercrantz, a Swedish politician who died in 1981. We manufacture and sell promotional material, including fridge magnets via William Blunt & Sons. We are publishers of allegedly humorous books under the TMB Books imprint. the warning on the cover of Forgotten Lancashire And Parts Of Cheshire And The Wirral that the book is “99% fact free” is misleading. The warning should, in fact, read “100% fact free.” TMB Books would like to apologise to all customers who have pointed this out and hopes that this does not spoil their reading enjoyment. 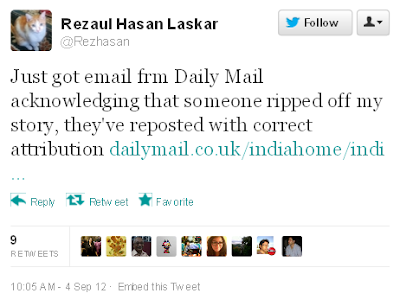 Last week, MailOnline removed fake photos from articles about the 'Essex lion' and Tropical Storm Isaac after publishing them without appropriate checks on their accuracy. A photograph depicting knives confiscated from Polish football hooligans has been removed from the article after we were informed that the photograph was taken in 2010 and was unrelated to Euro 2012. The article has also been amended to make it clearer to the reader that the images of the Polish police were taken during an operation ahead of the tournament. Labels: correction, mail, what's wrong with this picture?